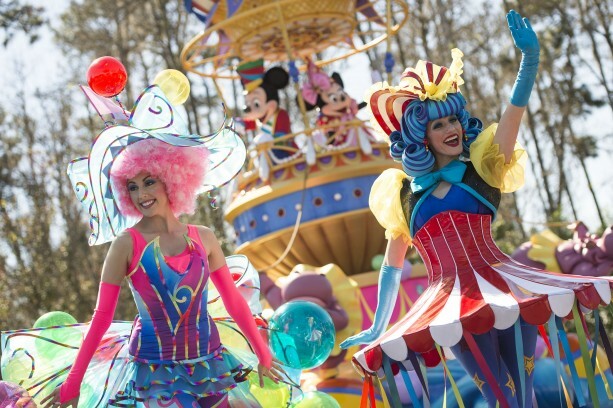 Orlando Attractions Update – It’s official, the new daytime spectacular, Disney Festival of Fantasy Parade has made it’s grand debut at Magic Kingdom Park and the reviews are very positive! Enormous, colorful floats and all new costumes have been designed and created and the parade also has an original musical score. It’s truly a very different look and a tremendous amount of work went into the planning and execution. Before rehearsals could begin, Show Director Randy Wojcik and Choreographer Stephen Di Schiavi held a choreography workshop to further develop their initial ideas about staging and movement. They recently gave us a peek into that workshop, for a taste of what we can expect to see when the performers bring the stories of Disney Festival of Fantasy Parade to life on the parade route.